The ballroom at Pines Manor in Edison, New Jersey, was decked out in teal, purple and blue to celebrate Christina Raspa's Sweet 16. The birthday girl, dressed in a gorgeous turquoise ballgown, was surrounded by her friends and family for an evening of food, fun and great times, and Hurricane Productions was there to help them celebrate. Christina's family opted for Hurricane's Lighting Package, which included full ballroom uplighting and Twin Totem lighting to match the color scheme, as well as full sound system entertainment for the evening. Lighting director Nick Nittoli set up two UV cannon lights to create a club-like atmosphere. DJ Nate Hawley kept the music playing, while MC Robert Padovano engaged with the crowd. Robert made sure everyone was having a great time, and even took some fun selfie videos out on the dance floor. 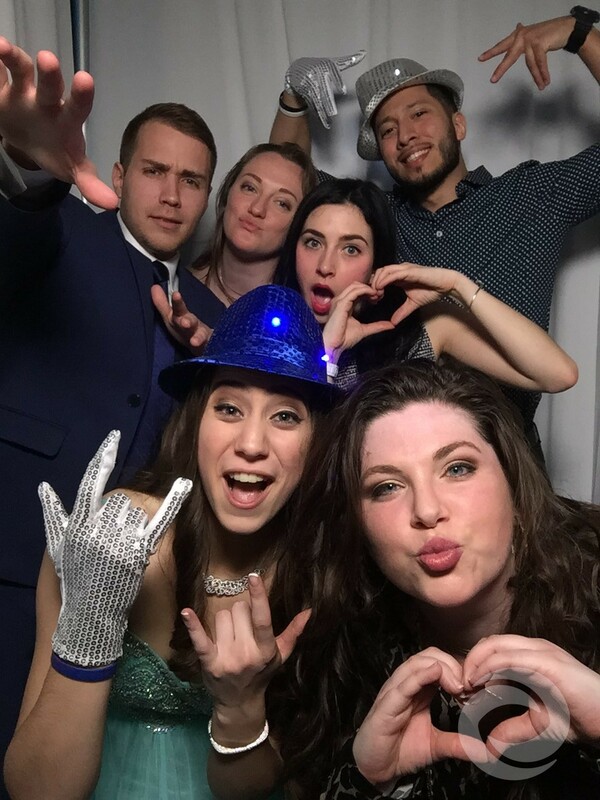 When Christina's guests weren't dancing the night away, they were having a blast in the enclosed photo booth provided by Hurricane Productions. Guests donned hats, glasses, signs and other silly props for truly memorable photo keepsakes from Christina's big night. Hurricane Productions offers a full suite of media and entertainment services for special events. To learn more about our all-inclusive Sweet 16 packages, visit our pricing page.